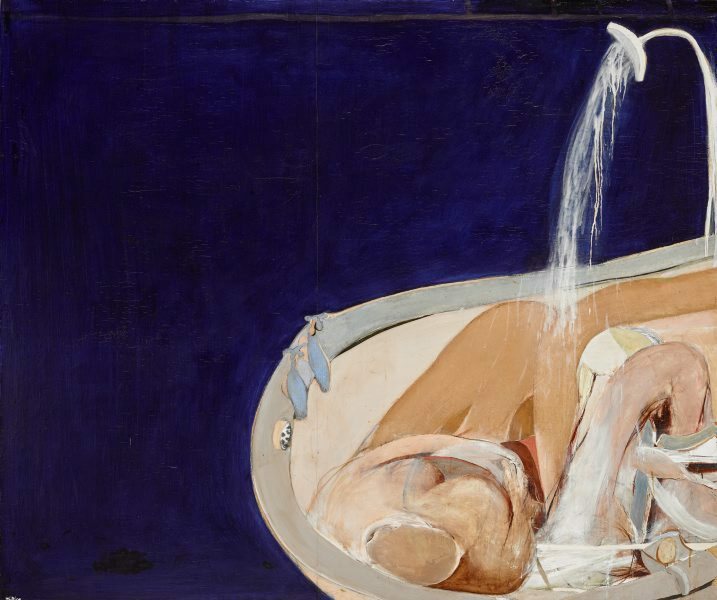 Focusing on the naked form of his wife Wendy in the bath, Whiteley's Woman in bath series, captured the tactility and tones of her flesh with a profound intimacy, rarely equalled in later paintings on this subject. Signed l.l., white oil "Whiteley". Not dated.